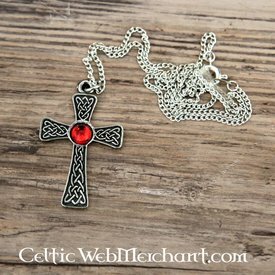 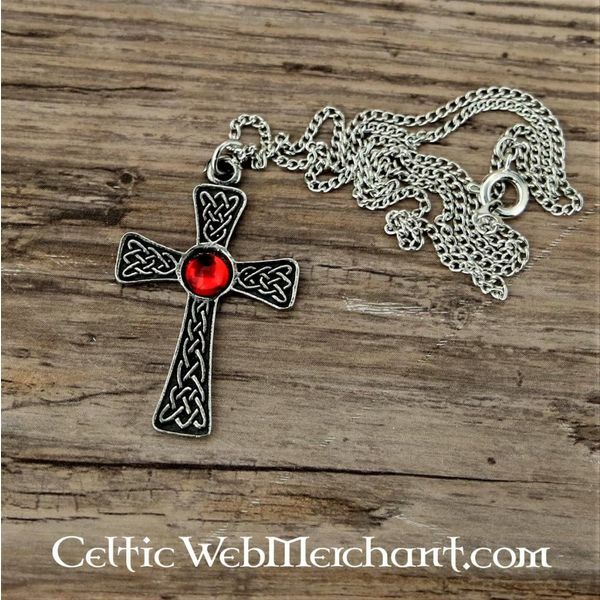 This pendant is inspired by medieval Celtic crosses. 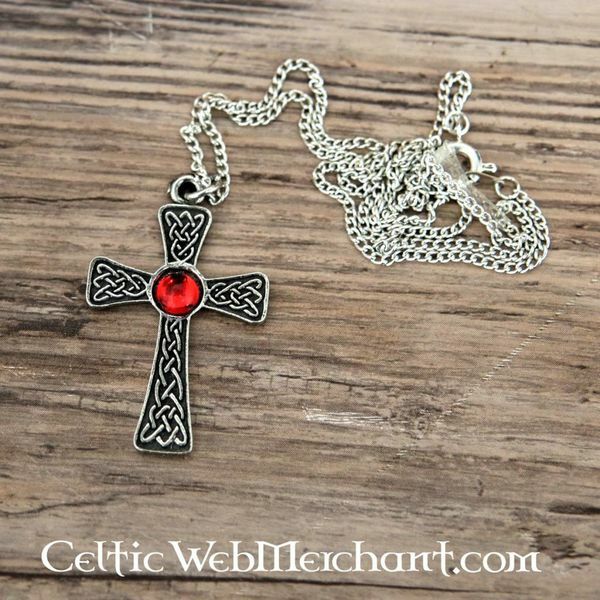 It is covered in detailled knotwork and has a red glass inlay. 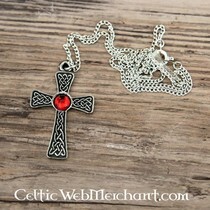 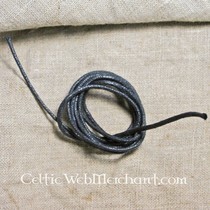 It is made of pewter and is delivered including silver necklace.